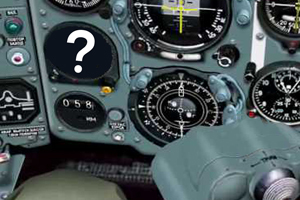 As an instrument-rated pilot with hundreds of hours in the cockpit, I understand the importance of focusing on data on my dashboard, particularly in stormy weather or when the way ahead is uncertain. When an inexperienced pilot gets into trouble, it usually begins with a single wrong assumption based on incomplete or incorrect interpretation of the instrument data. That’s followed by a series of bad decisions, each compounding the problem. Fear and panic become a real factor, causing more radical adjustments. Sometimes pilot errors continue until it’s too late to recover. I often see that same scenario repeated in nonprofit decision-making. (See WHAT’S ON YOUR DASHBOARD?). In the previous post, I talked about a four-bucket approach to counting revocable future-gift commitments, particularly with regard to donor recognition. In this post I want to share a few more thoughts on the longterm impact of a one-bucket approach to nonprofit decision-making. One particular example comes to mind. A client organization of mine brought in $13 million in cash two years ago. In the following year, current gifts to that same organization dropped dramatically to under $6 million—over 50% decline in revenue. The board was in panic mode. Performance reviews, budget cuts, and other radical changes would surely follow. Morale began to plummet, and fundraisers were under tremendous pressure to generate current gifts. In situations like this, the first order of business is usually assessing blame, prompting many of those fundraisers to update their resumes. The board was demanding answers to some very pointed questions: What’s wrong with the organization, its staff, and its leadership? THE ANSWER: Nothing was wrong. The organization wasn’t on the verge of collapse or even declining for that matter. The problem (if you can call it that) was simply that people weren’t dying. In contrast to previous years, there were no bequests—no future gift commitments converted to cash in that physical year. Sometimes it’s hard to accurately assess the status of an organization when key indicators are buried in the stacks of accumulated data. It’s even harder when the essential data is simply missing or not reported. In this situation, the organization and its fund-development staff were in fact doing quite well. Planned giving staff had done a great job of securing future gift commitments. In fact, their future gift expectancies had actually risen significantly in the last year. Since, however, those commitments were not in the form of “accountable cash,” they were not taken into consideration. The panic, as well as the list of terrifically bad proposals being considered, was the result of assessing status of the institution on only one number—current gifts. Successful, mature organizations track several internal numbers—unrestricted income, restricted income, matured future gifts, and unrealized future gifts (See FOUR BUCKETS). Taking future gift commitments into account is essential for the purposes of donor recognition, long-term planning, staff performance, and donor-cultivation strategy. 1. Donor Recognition: The previous blog begins with a story of donors putting a $3 million bequest in their estate planning documents and sending a notification to the university. However the institution would not recognize the bequest at face value. Instead of simply thanking them for a $3 million future gift commitment, the university sent a letter acknowledging the future value of their commitment at $700,000. The donors rewrote their estate plan, committing that $3 million to another nonprofit. 2. Long-term Planning: Bequests and planned gifts from net worth are typically the largest gifts a donor will ever make, but you never know when or if those gifts will be realized. Consequently, with a one-bucket approach, an organization’s reported income will fluctuate radically, as it did with my client organization. Fortunately, leaders at that organization were able to talk board members down from the ledge, but it doesn’t always turn out that way. Taking future gift commitments into account is essential for the purposes of donor recognition, long-term planning, staff performance, and donor-cultivation strategy. Leaders monitoring the health of the organization based on a one-instrument reading (current cash gifts) without taking account of what’s in the pipeline (future gifts) occasionally make decisions that negatively impact the future of the organization. They cut staff, slash programs, and inject a lot of stress into the organization. And they tend to particularly go after the very functions that build long-term sustainability—donor cultivation, public relations, and planned giving staff. Consequently, the negative impact of short-term thinking begins to compound (see CREATING MARGIN and OBSTACLES & DISINCENTIVES). 3. Staff Performance: The effect of a one-bucket approach (counting only current gifts) impacts both long-term planning and staff performance evaluations. A current trend among nonprofits is to combine major-gift and planned-giving responsibilities into one position or department. If you’re one of those major-gift (slash) planned-giving officers and the only number reported is current dollars, the incentive is to focus exclusively on current gifts. Those are the only efforts for which you are recognized and sometimes the only ones for which you are rewarded. As I frequently say, what you measure and monitor improves. By not counting future gift commitments, organizations are in effect reducing the likelihood of those gifts. When you consider that mature organizations, on average, receive as much as 25% of their annual income from bequests, decisions based on the one-number approach are often driving organizations into unsustainable territory. The more you ignore or forget a donors’ previous commitments, the greater the likelihood that they will indeed revoke the commitments and send them somewhere else. For accounting purposes, nonprofits should report only current gifts. Future-gift tracking and reporting are for internal purposes only. Fundraisers and accountants look at numbers from different perspectives. Fundraisers are decidedly future-oriented. They’re able to celebrate a current gift just long enough to write the thank-you letter. Then they’re back to the future, looking for the next donation. Accountants are equally focused on the past and the precise reporting of what happened in the previous year. Any hint of putting something on the books that is not yet received and accountants start reaching for the alarm button. Consequently, there is a natural aversion among accountants to reporting anything related to future gift commitments. That being said, every time I’ve been involved in a discussion with a chief financial officer about purpose and process of tracking future gift commitments internally, they quickly see the need and get onboard. This is a great post and oh, so true. Thank you for sharing. Thank you. I hope it helps someone. I hope all is well with you.